With the end of the semester quickly approaching, it’s that time of year for seniors to begin deciding what choices to make with their lives beyond SCA. Whether it’s choosing a grad school, working as a freelance filmmaker or anything in between, the next step is sure to be an exciting yet intimidating one. 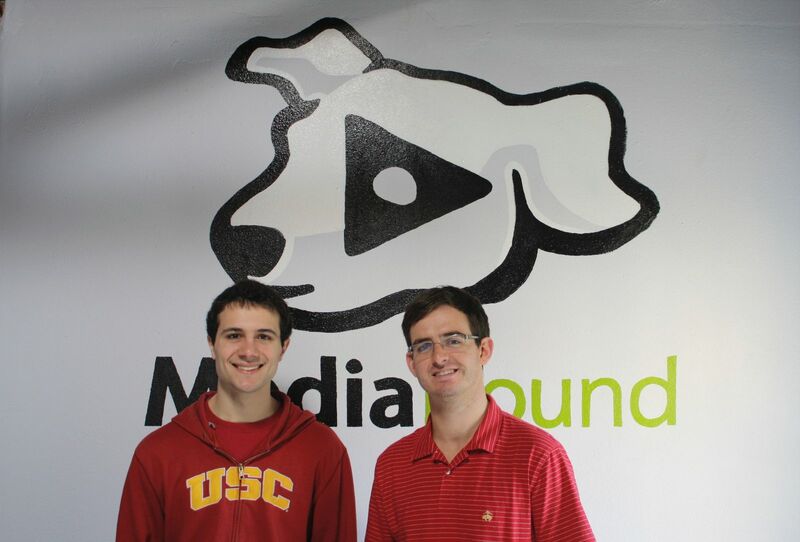 Since graduating last spring, recent SCA alums Wesley Burger ‘11 and Addison McCaleb ‘11 have kick-started their careers by creating their own innovative website called MediaHound, which had its beta launch on March 1st at leetUP, a live event at Club Nokia that combined comedy, tech, and podcasting. Both were willing to make time with SCA to explain their exciting idea and its conception. Students, faculty, and staff are welcome to try out the web app, which is available for free at www.MediaHound.com. Let’s start from the beginning. What are your names and your graduation years? WB: Wesley Burger. Screenwriting BFA 2011. AM: Addison McCaleb.Film Production 2011. What will the user experience be? AM: MediaHound shows you everywhere you can watch a given film or TV title and how much it’s going to cost. The best way to watch it and things like that.discover the best prices and the best ways to watch your favorite shows and shows your friends are watching across the expanding world of distributors – from Netflix to iTunes to Amazon to the Best Buy down the street. If you select a given title, the next screen’s going to show you the cast and crew, the summary and the reviews. The key part of it all is: it shows all of the sources and the prices. With one click, you’re at the point of purchase. And there’s a social media aspect, right? AM: You can share titles and playlists with your Facebook friends or Twitter followers. There’s a pre-populated message or you can customize it. A list can be something like “My Favorite Summer Movies” and you aren’t tied down to one source. It’s very sharable and very easy. We are excited to see the lists that that SCA students and faculty make and get some feedback on the app from them as well. Did you come up with the idea while you were classmates at SCA? AM: Last spring, I was sitting down to watch a movie with friends and I jumped around from Amazon to iTunes to Netflix to find the movie we were trying to watch. WB: That concept has been affirmed by the fact that every couple of weeks another company announces another play in the streaming space. Another brick and mortar company wants to do more online. Someone is buying someone. There has been an incredible amount of activity, which MediaHound is aggregating. Did either of you have Dr. Drew Casper? AM: Yes. He stands firmly that films shouldn’t be viewed on tablets alone. I believe he said that they shouldn’t be viewed “the size of a postage stamp.” Do you have a response to that criticism? WB: We’ve taken it into account. 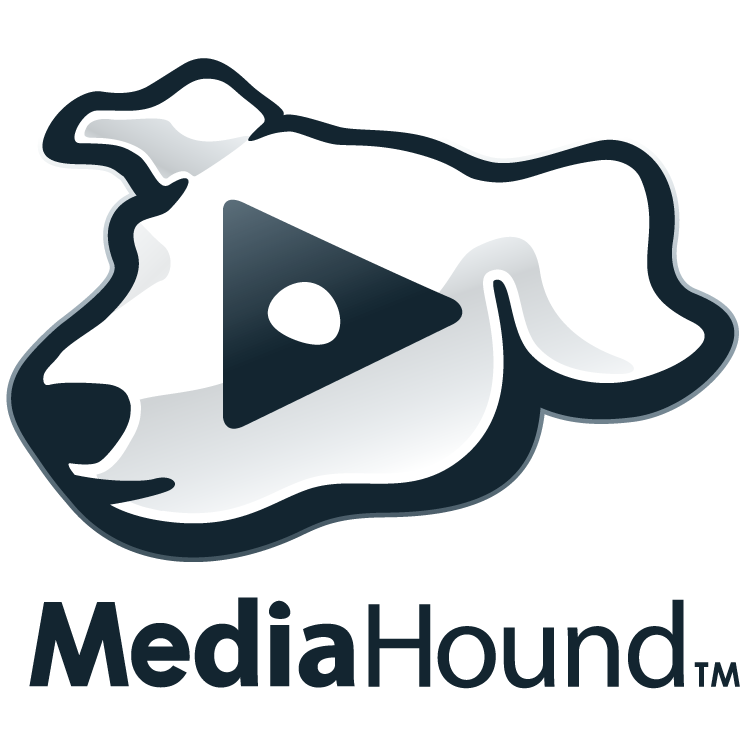 MediaHound doesn’t currently display films in theaters just yet; it’s something we want to do. We believe a lot of films are better seen on the big screen. As we are currently developing the database, we are including commentary about the best viewing conditions for certain titles. For instance, if you are watching a Ridley Scott film like Gladiator you’re going to want to see that on a bigger screen with better sound. We agree with Dr. Casper's statement but we don’t want to pass judgment on people's viewing habits. The School of Cinematic Arts has a long history with technological advancement. George Lucas is a prime example but even farther back than that, Eugene Polito was a prolific inventor while he was creating the curriculum. Do you feel comfortable as an entrepreneur with your SCA education? AM: It was always something I was flirting with. I applied for the Business Entrepreneurial Minor. I didn’t go but I picked up other things. It was something I knew I would turn towards after graduation. This just happened to be the opportunity that excited me the most. Sony/SCA Professor] Bob Osher's class was an excellent look at how the entertainment industry really functions. What were the lessons that you picked up at USC that helped with the early days of MediaHound? WB: I would say that Addison’s production experience – on set experience – has been very very valuable for him as a manager. You learn how to deal with people and get things done. If you’re making a 480, you have to get it done. There are some connections where you can see how effective production grads are at accomplishing things on the entrepreneurial end. When you think about USC, in general, you hear guest speakers say over and over, “I never thought I would be doing this. I never thought this would be my job.” No two people have the same path. It’s a theme. There are surprises and opportunities and you have to just do your best and hope for the best. I took that away from my time at the School. Did you start your own company as a reaction to the job market? AM: I had started a production company last January, Stage 5 Productions, with fifteen members of my class. I had that lined up and we shot our first commercial for the Flame Broiler in May. That was the track I had my eyes on. Freelance film production. That’s fairly common, right? AM: Yeah. I never thought about it too much. When MediaHound came up, we developed this project; it was another project we were working on. Wesley’s in Stage 5 as well. Wesley, what did you do after graduation? WB: I was so excited and grateful for this opportunity because it’s so creative. I use more of my education from the Writing Division in this job then I would at an assistant position. Is that what most of your classmates are doing? The assistant route? WB: Many of my friends have gone that route. It’s a mix. I’m grateful for this job because it’s something different every day. Do you have any advice for the next generation coming up who might want to get into web companies? AM: I would tell them to reach out to people who have tried it before or who have done similar projects. One of the first investors I met with became a mentor and helped guide this project along. Since then, a lot of Juniors and Seniors who I’m friends with have come to me with that exact question. They’re entrepreneurial and they reach out to me for advice. There are a lot of little things that you learn the hard way and it’s nice to hear a little forewarning.